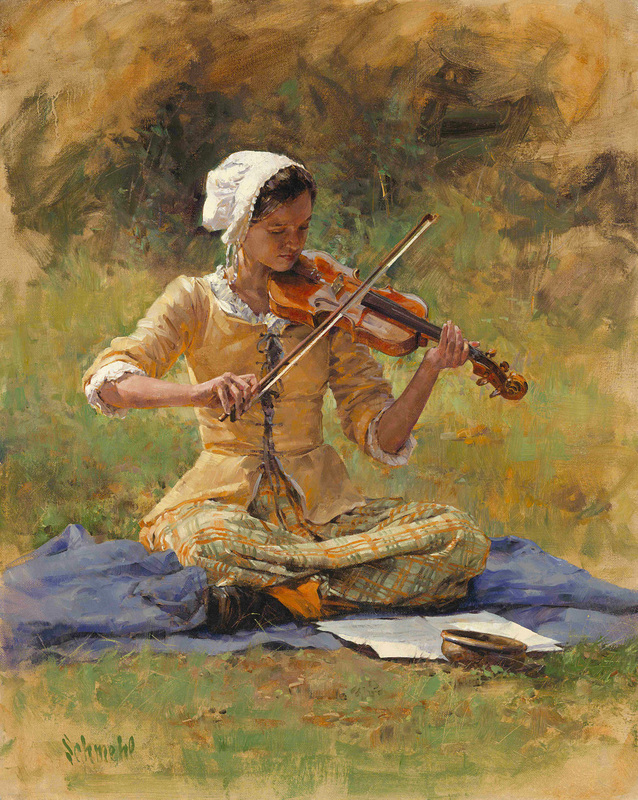 Playing for Coppers portrays a girl of the American frontier, ca. 1750, playing a violin that must have been a family treasure, given the scarcity of such luxury items among pioneer families of the period. For her parents to have entrusted their daughter with such a rarity, the young lady must have manifested a remarkable musical ability.